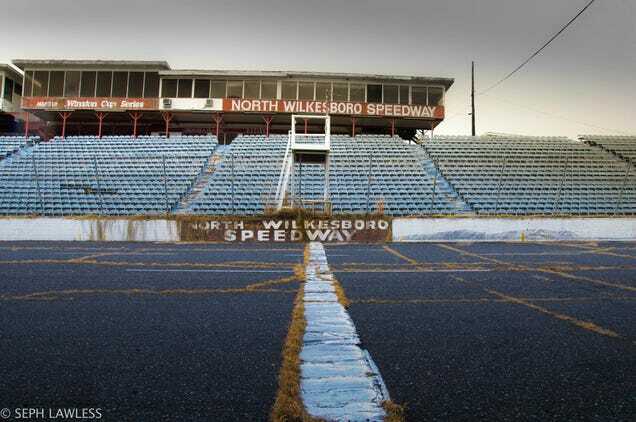 The North Wilkesboro Speedway opened in 1947, nearly a year before the founding of NASCAR – or National Association for Stock Car Auto Racing, to give it its full name. 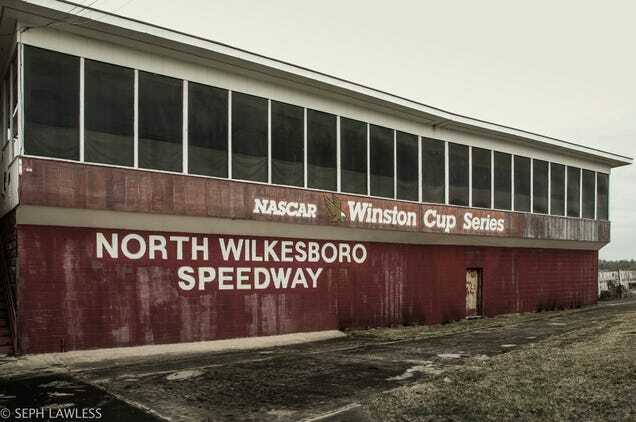 The short track in North Carolina, US, was where the first NASCAR champion, Robert "Red" Byron, was crowned. 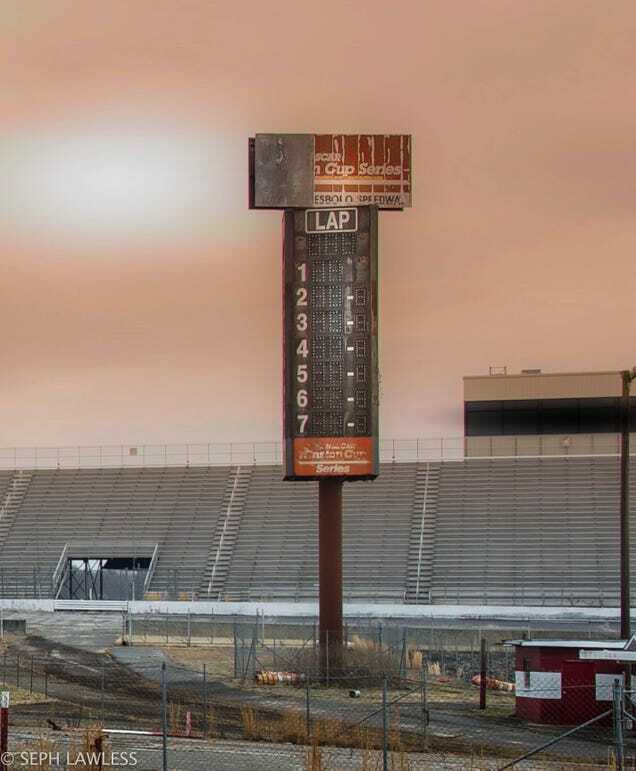 Today, five years after being abandoned, the historic speedway is just a rotting pile of sticks, crooked chairs, and faded glory. 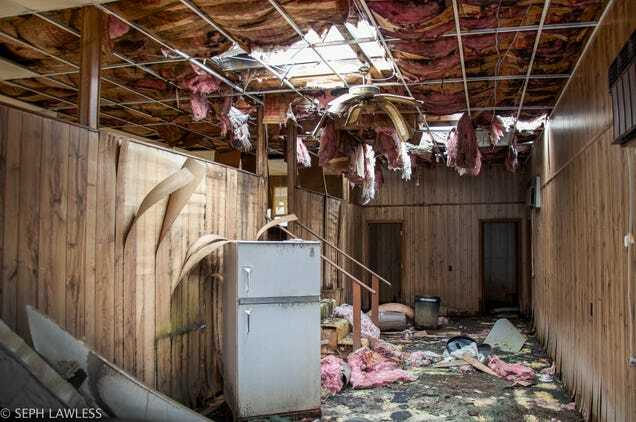 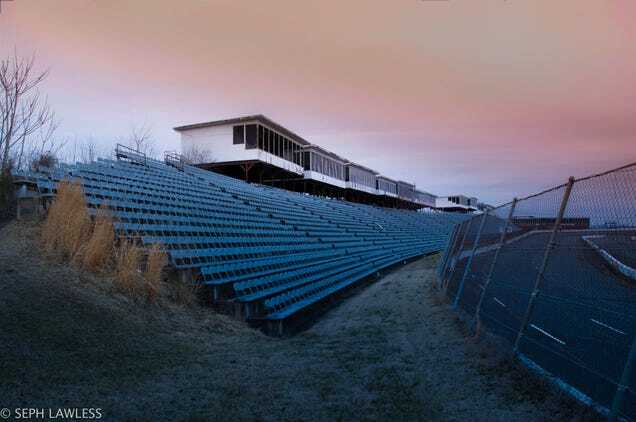 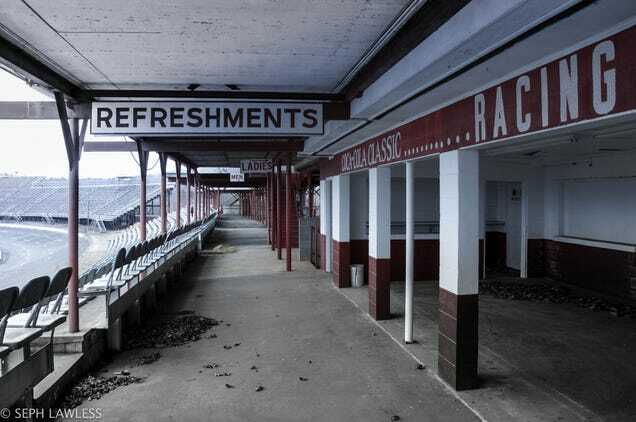 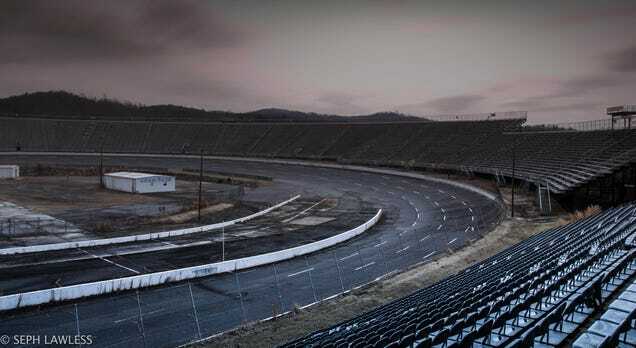 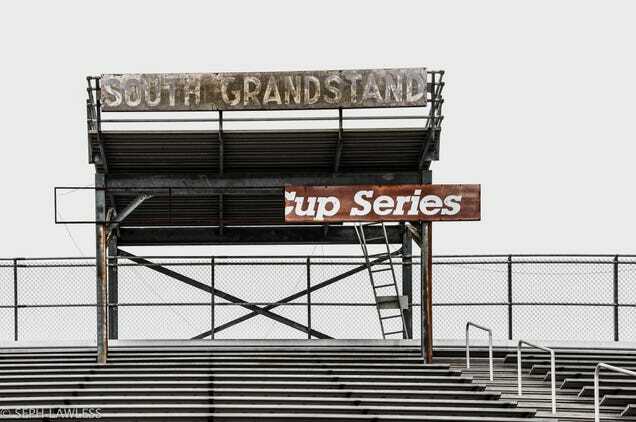 The celebrated abandoned spaces photographer Seph Lawless recently visited the North Wilkesboro Speedway on a trip across the country. 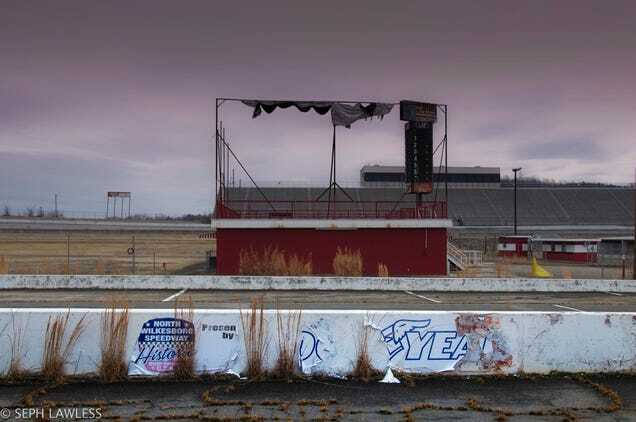 Like the abandoned malls he'd visited in the past, Lawless found the race course to be symbolic for America's rapid decline and decay. 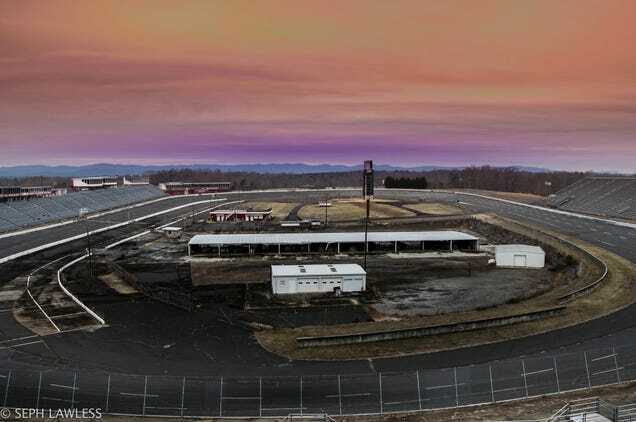 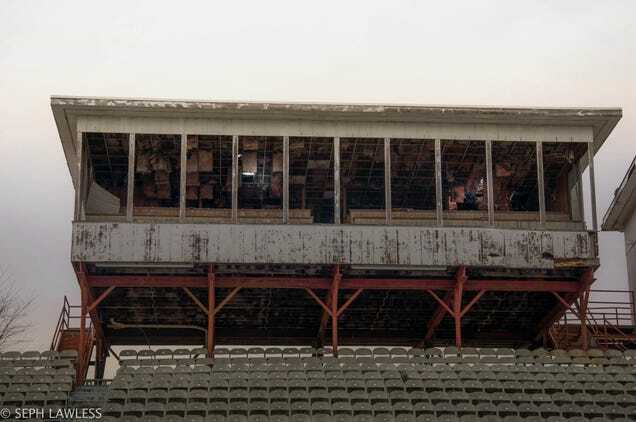 The former dirt track held sanctioned events until 1996 but was left to rot after a campaign to save the speedway by the same name failed to attract investors. 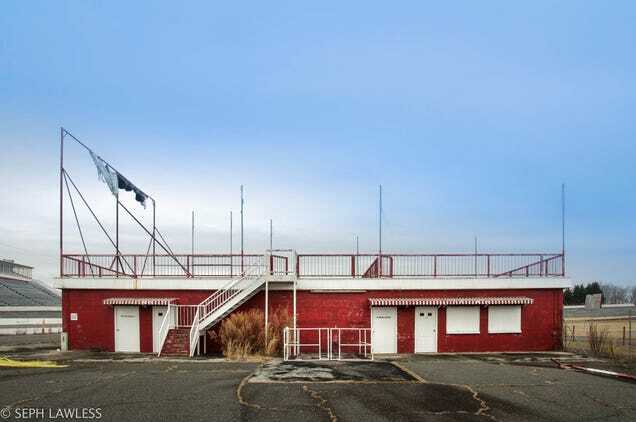 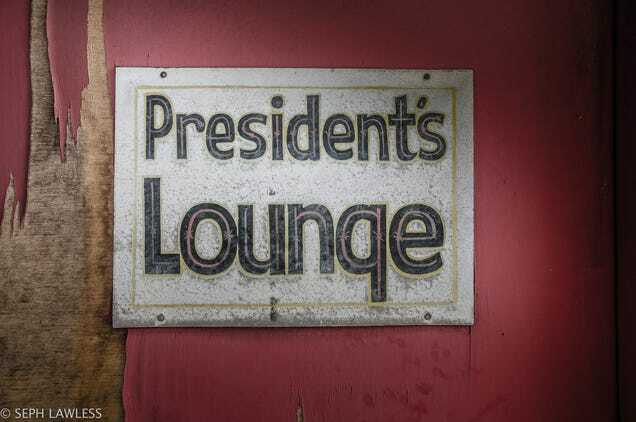 Check out more photography from Seph Lawless on his website. 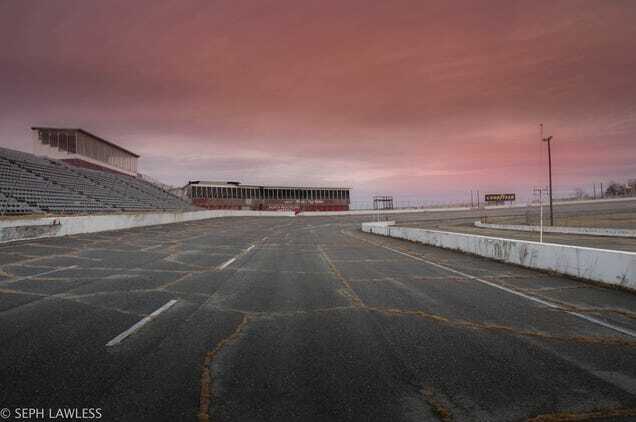 Also, follow him on Instagram, Twitter, and Facebook.